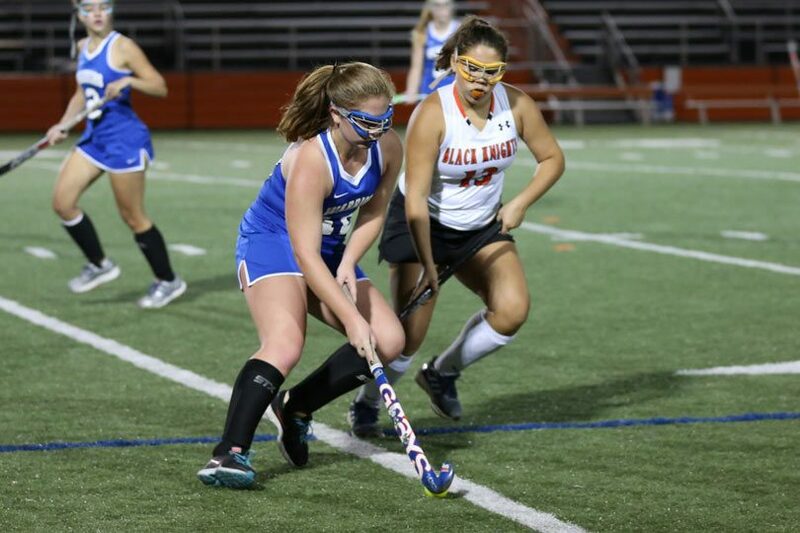 Western Albemarle got a pair of goals from Erica Repich and their defense made it stand up as they went on the road and spoiled Charlottesville’s senior night with a 2-0 win. Much of the first half was played with Western on the attack. It took them a while to get going, with neither team registering a shot for about fifteen minutes. Western nearly struck then, but Charlottesville goalie Casey Casarez made a nifty twisting save on Sophie Lanahan in front of the net. 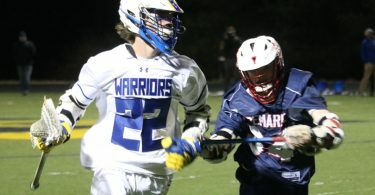 The Warriors, who beat Charlottesville in a shootout in the teams’ first meeting, finally went ahead in the 21st minute when a shot from Repich dodged a group of sticks in the middle of the crease and bounced in for a 1-0 lead. Repich struck again in the 27th minute, this time from much closer in, and Western took a 2-0 lead into halftime. After the break, the Western defense clamped down for good, holding the Black Knights without a shot in the final 30 minutes. Charlottesville controlled possession in the final minutes, but couldn’t generate a chance. 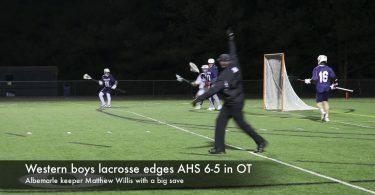 For the game, Western outshot Charlottesville 8-1. Casarez registered four saves for the Knights.